Are you waking up a lot during the night? Have you experienced snoring, sleepwalking or even sleep talking? News flash: You may be suffering from a sleep disorder without you even knowing it. As of today, more than 1.5 million Australian adults are now suffering from sleep disorders and it’s time to do something about it. You may not know but sleep disorders can have a damaging impact on your health, on your relationships and even on your work. The worst case scenario is you having diabetes, obesity, heart disease, stroke, clinical hypertension, impotence, depression, and numerous other conditions because of your sleeping disorders. If you or your partner snores loudly enough to wake yourself up, it’s time to go to your doctor. Almost one-half of people who snore loudly have been diagnosed with obstructive sleep apnea. 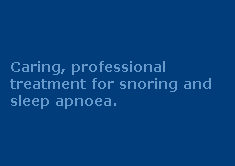 Matter of fact, snoring is one of the most common symptoms of sleep apnoea. In more severe sleeping disorder cases like obstructive sleep apnoea, the sufferer stops breathing while they’re sleeping. Their sleep quality is severely reduced as well as their blood oxygen levels. If you’re experiencing symptoms like this, you should consider having a sleep study. If you find yourself wide awake at least 3 times during the night during the night, it’s not something that you should ignore. Waking regularly can be the effect of having a stressful day at work, family problems or any stressful situation that’s going on in your life. But if that’s not the case, it might be a sign of having sleep disorders like the overproduction of melatonin, clinical insomnia, and sleep apnoea. We all have those days when we’re lying in bed thinking about so many things while staring at the ceiling as the hour's tick by. But did you know that having difficulty with sleeping can also be caused by other sleeping disorders? It may be because of melatonin deficiency, where there isn’t enough melatonin in your system, therefore causing you to not being able to sleep. If you find yourself worrying about not being able to get to sleep for a long time, it’s time to seek medical advice. If you find yourself tossing and turning in bed, it can be a sign Restless Leg Syndrome (RLS) or Periodic Limb Movement Disorder (PLMD). RLS is a condition where there’s an irresistible urge to move your legs at night and it can last for years or your whole lifetime. You can easily mistake it as a strange cramp or crawling sensation in your calves. While PLMD is a disorder where you move your limbs involuntarily every 20-40 seconds while you sleep. If you’re feeling these symptoms, you can try alternating hot and cold compresses, taking a hot bath or massaging your muscles can help ease the pain that you’re feeling. But if the pain is getting harder to handle you need to see your doctor for a medical diagnosis. Admit it, we’ve all had mornings where we wake up feeling tired. We’ve all had those days but is if you’re waking up without feeling refreshed consistently, you might be suffering from a sleep disorder. Waking up feeling tired all the time means you’re not getting the rejuvenating periods of sleep that everyone else experiences. It can be caused by sleep disorders like sleep apnea, PLMD and any various forms of clinical insomnia. If you’re unsure what’s causing your consistent tiredness, consider having a sleep study to track what’s going on. If you’re sleepwalking at night and doing more than just walking a few steps around your room, you might need to consider consulting a sleep specialist. Sleep-talking and sleepwalking is a symptom of REM Sleep Behavior Disorder (RBD), it can be a sign of your body acting out your dreams while you sleep. Talk to your doctor if you find yourself excessively sleep-talking and sleepwalking at night because the results can be very dangerous to you and to those around you. Feeling sleepy during the day is a common thing if you’re working late, partying or binge-watching last night. But if you find yourself going to bed, feeling sleepy during the day, while driving, while at work, during a meal, you may have Excessive Daytime Sleepiness (EDS). 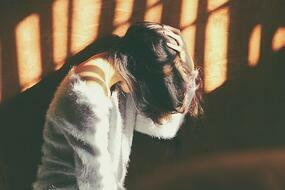 If you’re experiencing EDS, it can be characterized by ongoing sleepiness and lack of energy. EDS can be a condition that includes several sleep disorders like narcolepsy, sleep apnoea or a circadian rhythm sleep disorder. If you or your partner have any of these symptoms, it’s important to seek medical advice or have an in-home sleep study. Sleeping is not a luxury that we can’t afford, it’s an essential that we must have. It’s time to start improving your sleep health not only for yourself but also to those around you. Start by taking our free Sleep Self Assessment Questionnaire today.